A Bank of Ireland recent issue 1000000 note. It looks like the sixth zero was added by hand after 100000 was machine set. 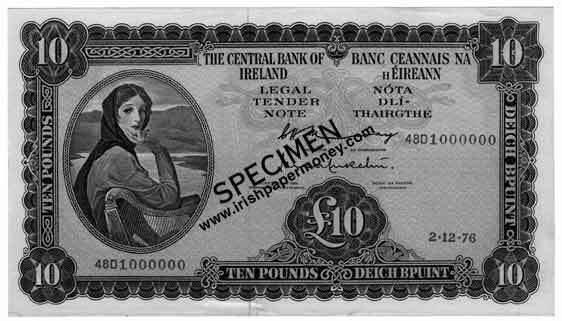 Central Bank of Ireland Ten Pounds 1976, One Million number. Those 1000000 are highly collectable and interesting being literally 1 in a million. 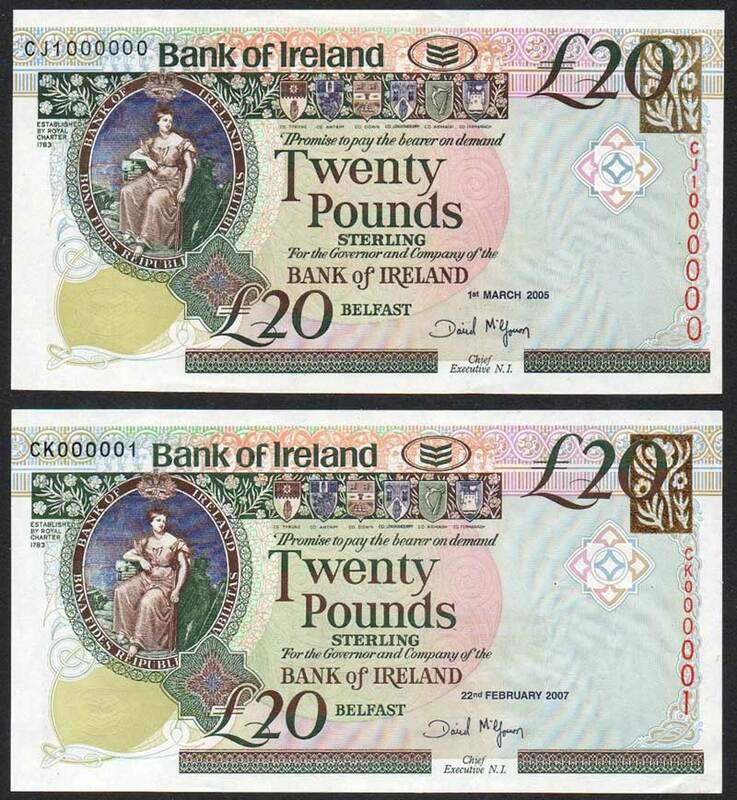 Some notes of the Northern, Danske and Ulster Bank have 7 digits in the serial number. I wonder if this opens up the possibility for a 10 million note ? I wonder if this opens up the possibility for a 10 million note ? Possibly. It would be a nice one to see one of those!